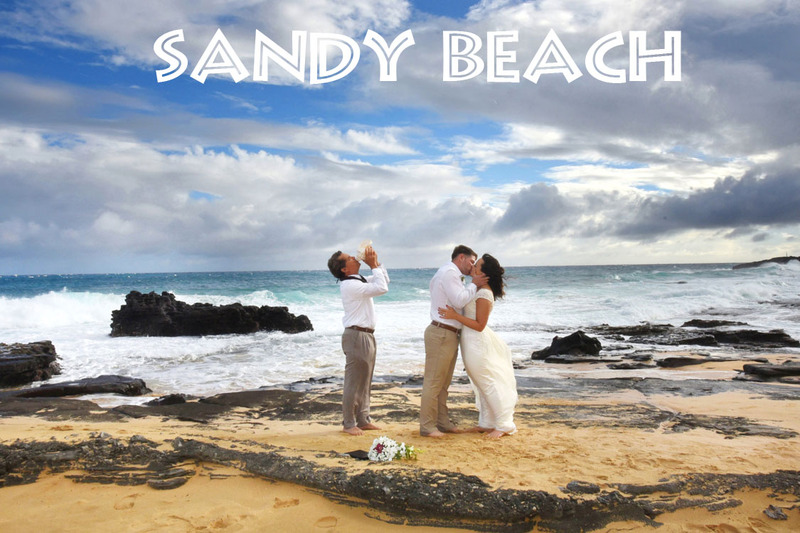 On a rainy day the clouds parted for us at Sandy Beach for stunning wedding photos! 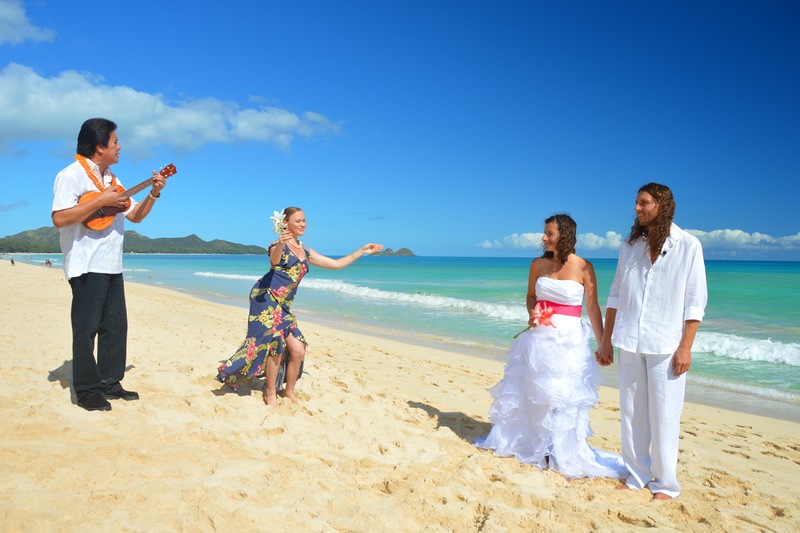 Looking for a nice and secluded beach on Oahu to get married? Look no further. 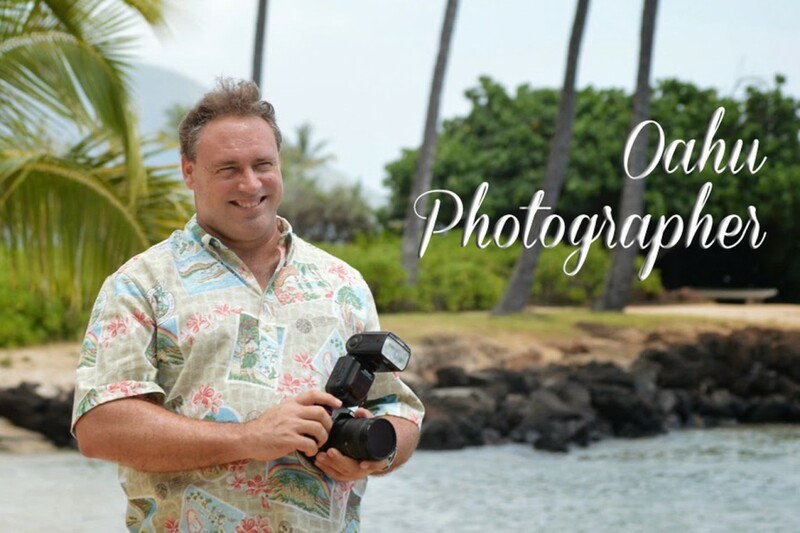 We found one in Kualoa. 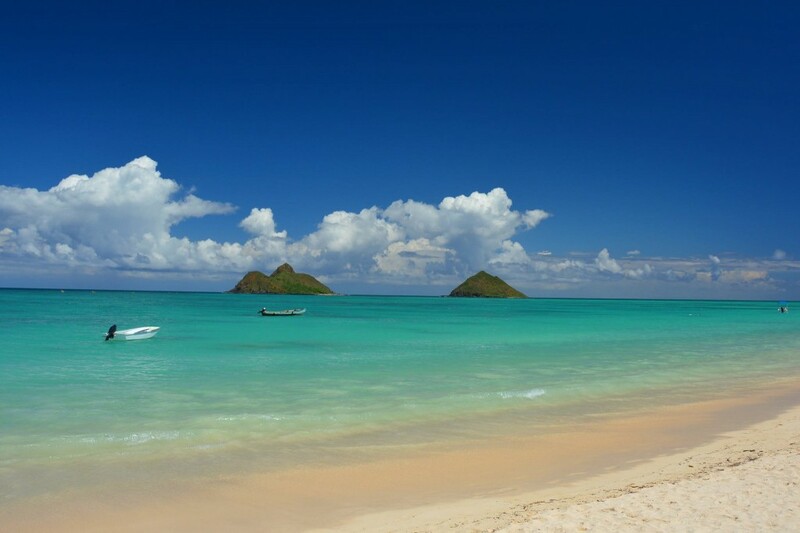 Amazingly beautiful beach in East Oahu, Lanikai Beach is a 45-minute drive from Waikiki. 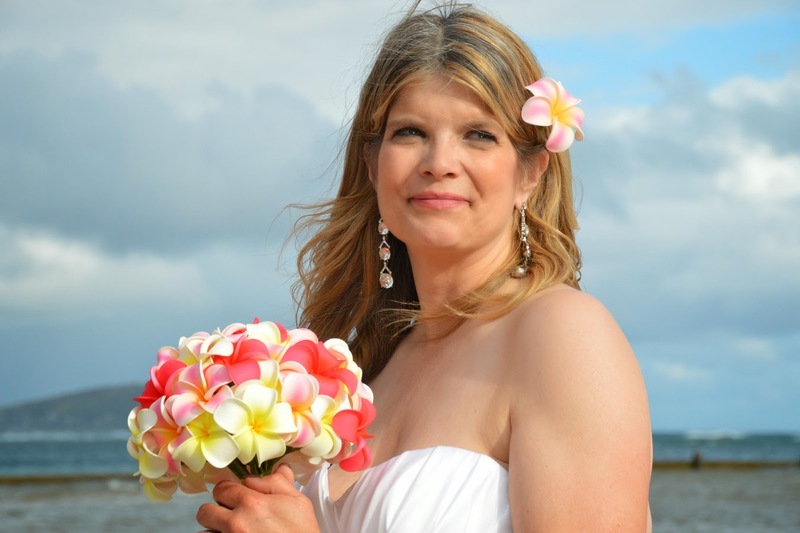 We don’t have many Brides with such blonde hair visiting the Islands so Hungarian Bride Ilona with her cheerful face captures our attention. 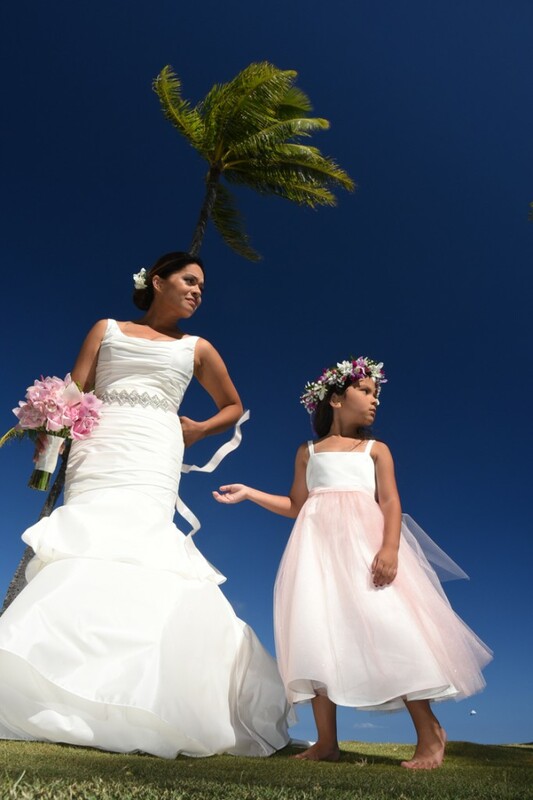 There’s something special about this lovely Bride, Akiko. She gets our award for most photogenic Bride of the Month. One of our favorite photos of the month! Wow! 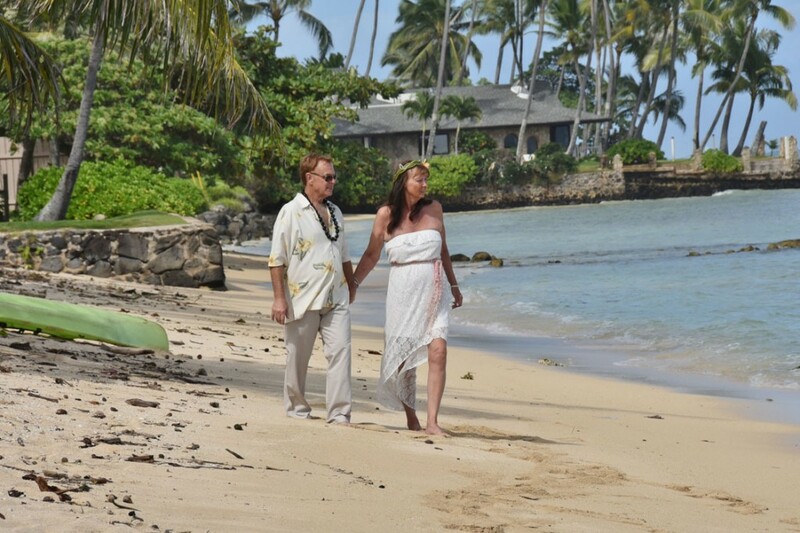 Some photos just jump out at you like this gorgeous pic at Paradise Cove Beach.